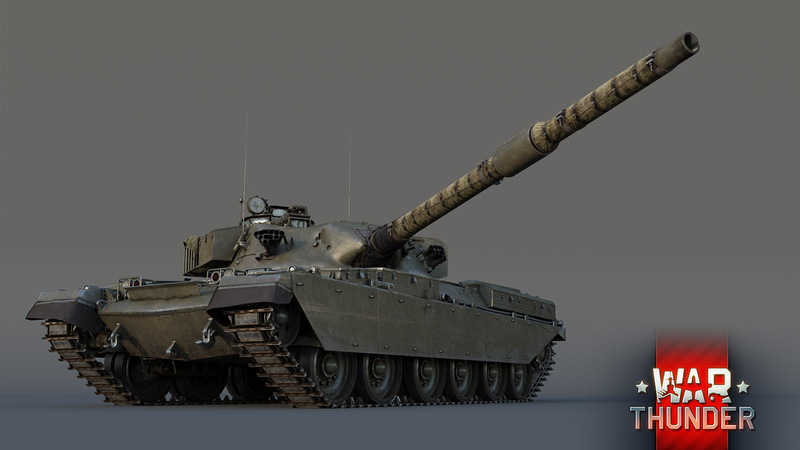 The Chieftain tank: A very British warlord! While other European countries and the US were developing tanks to be as mobile as possible under conditions of battle with anti-tank missiles, the British refused to sacrifice armour and firepower for mobility. This is how the Chieftain appeared and became possibly the greatest Western tank of its time. With the appearance of anti-tank shaped charges and guided missiles, tank designers in Germany chose the path of improving mobility as much as possible in the design of the promising Leopard tank. It was thought that there was no armour that could protect a tank from the latest anti-tank grenade launchers, shells and anti-tank missiles, so it should mostly rely on speed and maneuverability. However, British engineers knew from their experience in Korea that armour and armament still determine both the survivability of the tank and the result of a tank battle. This is why they decided to make a very well-protected tank that would be as fast as its counterparts in other “Western block” countries and would even feature a superior gun. This promising tank design was called the Chieftain and the vehicle came to prove itself in time. 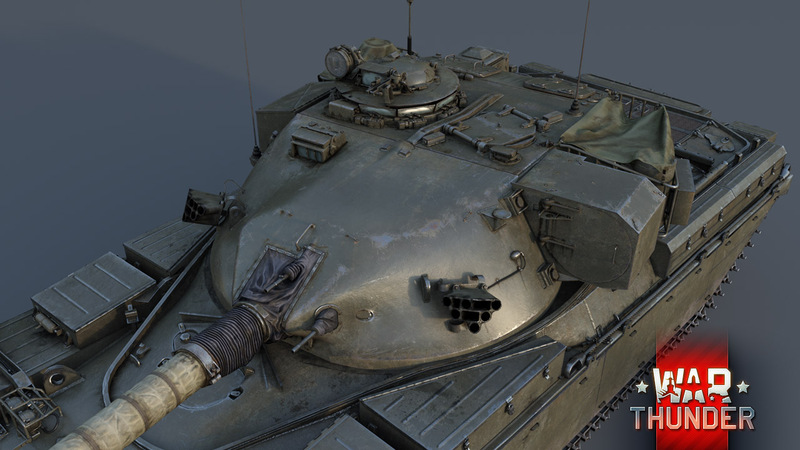 Let’s examine the Chieftain model in War Thunder. 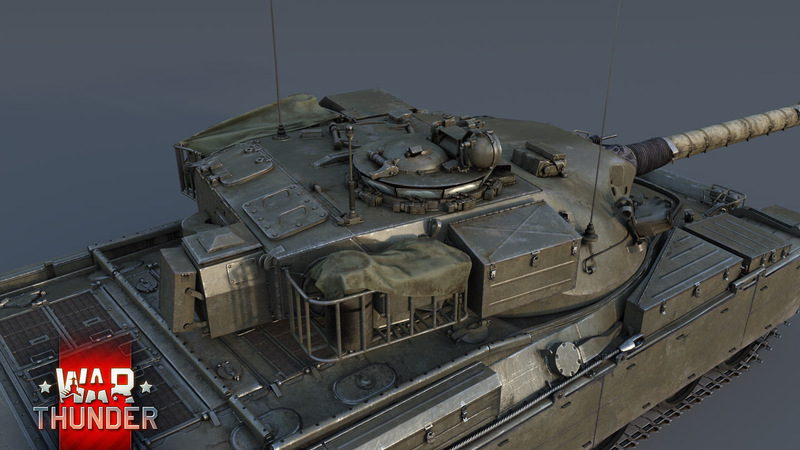 We would like to present to you the Chieftain Mk 3 with its L60 diesel engine in the War Thunder 1.57 Battle March update. 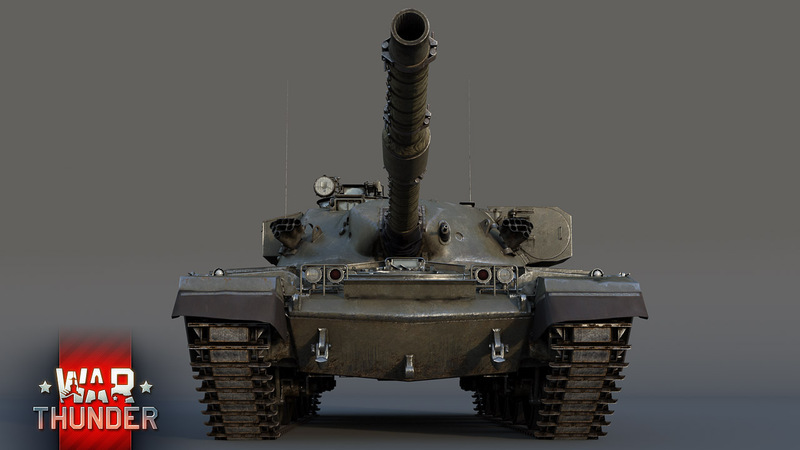 The external appearance of the Chieftain is very similar to modern tanks. The engineers implemented many truly innovative ideas when they designed this tank. One of these ideas is that the driver-mechanic was semi-recumbent in his working position, which allowed for a significant reduction in the profile of the tank and for the front glacis plate to be sloped at a steeper angle. The turret of the Chieftain is an engineering masterpiece. The turret has a complex shape—the armour follows the outlines of the crew and the equipment inside, with differing armour thicknesses from 1” (25 mm) at the top to 11” (280 mm) at the front. 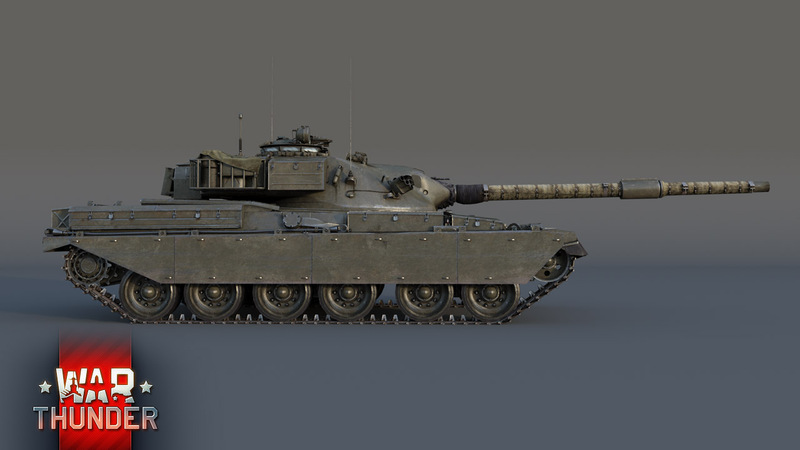 The complex shape and flowing lines of the turret as well as the shallow angles at which the thick frontal armour is sloped provide excellent protection from hits to all of the frontal components in the Chieftain turret. There is a powerful spotlight located on the left side of the turret, which is protected by a steel housing. The turret also features containers for the crew’s equipment, spare parts and tools, as well as two smoke grenade launchers. A system of air filters was installed on the Chieftain for protection against weapons of mass destruction (the box at the back of the turret). It was a difficult task to portray all of these complex shapes and turret attachments on the in-game model, but our artists were up to the challenge. Do you agree? The gun of the Chieftain is a 120 mm L11 cannon with an ammunition supply of 53 separately loaded shots. Two types of shell were specially developed for this weapon: armour penetrating sabot (APDS) and high-explosive squash head (HESH) shells that contained plastic explosive and a deformable head. The barrel of the cannon is protected by a special canvas thermal sleeve. An interesting feature of the turret is the .50 machine gun that fired three round bursts and assisted with aiming (sighting). The commander would use the flashes from machine gun round hits to improve his targeting. We have created unique rounds for this machine gun that have similar ballistic properties to the tank gun. The main gun, the sighting machine gun and the co-axial machine gun feature stabilizers for firing on the move. 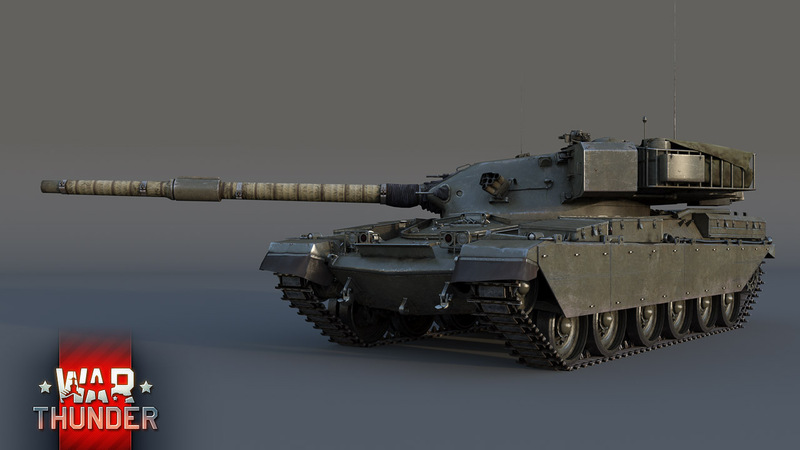 In War Thunder, the Chieftain will take its place at the top of the British medium tank branch with a battle rating of 8.0. 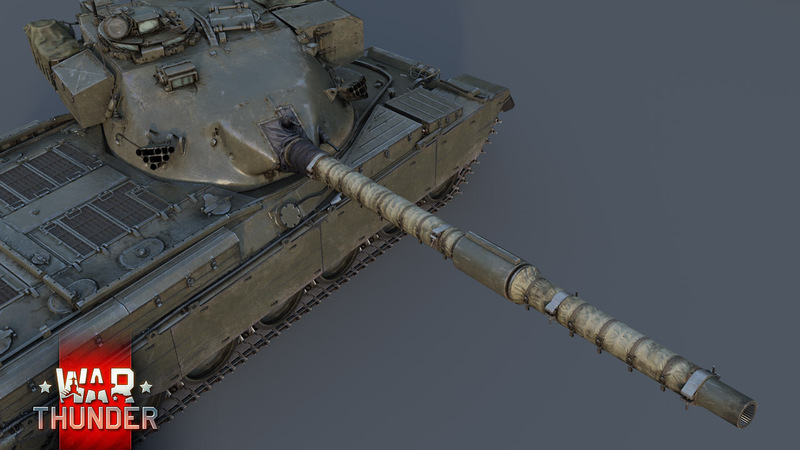 Its decent armour is supported by an excellent cannon: the HESH rounds need no introduction as they are probably the most dangerous shells in the game, but the Sabot shells on the Chieftain will set a new armour penetration record in War Thunder of around 400 mm point-blank. Another thing that should be mentioned is the great firing speed of the cannon—an experienced crew can make almost 8 (eight!) shots per minute. We have no doubt that the tank will become the star of high-ranking battles—the Chieftain has everything going for it! The War Thunder 1.57 Battle March update is coming soon and your Chieftain will be waiting for its commander in the hangar! See you soon!